The ifconfig utility is used to assign an address to a network interface and/or configure network interface parameters. The ifconfig utility must be used at boot time to define the network address of each interface present on a machine; it may also be used at a later time to redefine an interface's address or other operating parameters. For the DARPA-Internet family, the address is either a host name present in the host name data base, hosts(5), or a DARPA Internet address expressed in the Internet standard "dot notation". For the "inet6" family, it is also possible to specify the prefix length using the slash notation, like ::1/128. See the prefixlen parameter below for more information. The link-level ("link") address is specified as a series of colon-separated hex digits. This can be used to, for example, set a new MAC address on an Ethernet interface, though the mechanism used is not Ethernet specific. Use the ("random") keyword to set a randomly generated MAC address. A randomly-generated MAC address might be the same as one already in use in the network. Such duplications are extremely unlikely. If the interface is already up when this option is used, it will be briefly brought down and then brought back up again in order to ensure that the receive filter in the underlying Ethernet hardware is properly reprogrammed. Specify the address family which affects interpretation of the remaining parameters. Since an interface can receive transmissions in differing protocols with different naming schemes, specifying the address family is recommended. The address or protocol families currently supported are "inet", "inet6", and "link". The default if available is "inet" or otherwise "link". "ether" and "lladdr" are synonyms for "link". When using the -l flag, the "ether" address family has special meaning and is no longer synonymous with "link" or "lladdr". Specifying -l "ether" will list only Ethernet interfaces, excluding all other interface types, including the loopback interface. List the interfaces in the given group. Disable the use of the Address Resolution Protocol (arp(4)). (Inet only.) Specify the address to use to represent broadcasts to the network. The default broadcast address is the address with a host part of all 1's. Specify a description of the interface. This can be used to label interfaces in situations where they may otherwise be difficult to distinguish. Assign the interface to a "group". Any interface can be in multiple groups. Cloned interfaces are members of their interface family group by default. For example, a PPP interface such as ppp0 is a member of the PPP interface family group, ppp. Remove the interface from the given "group". Specify interface FIB. A FIB fib_number is assigned to all frames or packets received on that interface. The FIB is not inherited, e.g., vlans or other sub-interfaces will use the default FIB (0) irrespective of the parent interface's FIB. The kernel needs to be tuned to support more than the default FIB using the ROUTETABLES kernel configuration option, or the net.fibs tunable. Specify tunnel FIB. A FIB fib_number is assigned to all packets encapsulated by tunnel interface, e.g., gif(4) and gre(4). If the driver supports the media selection system, set the media type of the interface to type. Some interfaces support the mutually exclusive use of one of several different physical media connectors. For example, a 10Mbit/s Ethernet interface might support the use of either AUI or twisted pair connectors. Setting the media type to 10base5/AUI would change the currently active connector to the AUI port. Setting it to 10baseT/UTP would activate twisted pair. Refer to the interfaces' driver specific documentation or man page for a complete list of the available types. If the driver supports the media selection system, set the specified media options on the interface. The opts argument is a comma delimited list of options to apply to the interface. Refer to the interfaces' driver specific man page for a complete list of available options. If the driver supports the media selection system, set the specified operating mode on the interface to mode. For IEEE 802.11 wireless interfaces that support multiple operating modes this directive is used to select between 802.11a ( 11a), 802.11b ( 11b), and 802.11g ( 11g) operating modes. Set the media instance to minst. This is useful for devices which have multiple physical layer interfaces (PHYs). If the driver supports user-configurable checksum offloading, enable receive (or transmit) checksum offloading on the interface. The feature can be turned on selectively per protocol family. Use rxcsum6, txcsum6 for ip6(4) or rxcsum, txcsum otherwise. Some drivers may not be able to enable these flags independently of each other, so setting one may also set the other. The driver will offload as much checksum work as it can reliably support, the exact level of offloading varies between drivers. If the driver supports user-configurable checksum offloading, disable receive (or transmit) checksum offloading on the interface. The feature can be turned off selectively per protocol family. Use -rxcsum6 -, -txcsum6 for ip6(4) or -rxcsum -, -txcsum otherwise. These settings may not always be independent of each other. tso If the driver supports tcp(4) segmentation offloading, enable TSO on the interface. Some drivers may not be able to support TSO for ip(4) and ip6(4) packets, so they may enable only one of them. If the driver supports tcp(4) segmentation offloading, disable TSO on the interface. It will always disable TSO for ip(4) and ip6(4). If the driver supports tcp(4) segmentation offloading for ip6(4) or ip(4) use one of these to selectively enabled it only for one protocol family. If the driver supports tcp(4) segmentation offloading for ip6(4) or ip(4) use one of these to selectively disable it only for one protocol family. lro If the driver supports tcp(4) large receive offloading, enable LRO on the interface. If the driver supports tcp(4) large receive offloading, disable LRO on the interface. Enable Wake On Lan (WOL) support, if available. WOL is a facility whereby a machine in a low power state may be woken in response to a received packet. There are three types of packets that may wake a system: ucast (directed solely to the machine's mac address), mcast (directed to a broadcast or multicast address), or magic (unicast or multicast frames with a ``magic contents''). Not all devices support WOL, those that do indicate the mechanisms they support in their capabilities. wol is a synonym for enabling all available WOL mechanisms. To disable WOL use -wol. If the driver offers user-configurable VLAN support, enable reception of extended frames, tag processing in hardware, frame filtering in hardware, checksum offloading, or TSO on VLAN, respectively. Note that this must be issued on a physical interface associated with vlan(4), not on a vlan(4) interface itself. If the driver offers user-configurable VLAN support, disable reception of extended frames, tag processing in hardware, frame filtering in hardware, or TSO on VLAN, respectively. Move the interface to the jail(8), specified by name or JID. If the jail has a virtual network stack, the interface will disappear from the current environment and become visible to the jail. Reclaim the interface from the jail(8), specified by name or JID. If the jail has a virtual network stack, the interface will disappear from the jail, and become visible to the current network environment. Set the routing metric of the interface to n, default 0. The routing metric is used by the routing protocol (routed(8)). Higher metrics have the effect of making a route less favorable; metrics are counted as additional hops to the destination network or host. (Inet only.) Specify how much of the address to reserve for subdividing networks into sub-networks. The mask includes the network part of the local address and the subnet part, which is taken from the host field of the address. The mask can be specified as a single hexadecimal number with a leading ‘0x’, with a dot-notation Internet address, or with a pseudo-network name listed in the network table networks(5). The mask contains 1's for the bit positions in the 32-bit address which are to be used for the network and subnet parts, and 0's for the host part. The mask should contain at least the standard network portion, and the subnet field should be contiguous with the network portion. Enable special processing of the link level of the interface. These three options are interface specific in actual effect, however, they are in general used to select special modes of operation. An example of this is to enable SLIP compression, or to select the connector type for some Ethernet cards. Refer to the man page for the specific driver for more information. up Mark an interface "up". This may be used to enable an interface after an "Cm". It happens automatically when setting the first address on an interface. If the interface was reset when previously marked down, the hardware will be re-initialized. Set a flag to enable accepting ICMPv6 Router Advertisement messages. The sysctl(8) variable net.inet6.ip6.accept_rtadv controls whether this flag is set by default or not. Set a flag to accept router advertisements on an interface. Set a flag to control whether routers from which the system accepts Router Advertisement messages will be added to the Default Router List or not. When the accept_rtadv flag is disabled, this flag has no effect. The sysctl(8) variable net.inet6.ip6.no_radr controls whether this flag is set by default or not. Set a flag to perform automatic link-local address configuration when the interface becomes available. The sysctl(8) variable net.inet6.ip6.auto_linklocal controls whether this flag is set by default or not. Set the specified interface as the default route when there is no default router. Set a flag to disable all of IPv6 network communications on the specified interface. Note that if there are already configured IPv6 addresses on that interface, all of them are marked as "tentative" and DAD will be performed when this flag is cleared. Clear a flag ifdisabled. When this flag is cleared and auto_linklocal flag is enabled, automatic configuration of a link-local address is performed. nud Set a flag to enable Neighbor Unreachability Detection. -nud Clear a flag nud. Set a flag to not honor rule 5 of source address selection in RFC 3484. In practice this means the address on the outgoing interface will not be preferred, effectively yielding the decision to the address selection policy table, configurable with ip6addrctl(8). Set a flag to disable Duplicate Address Detection. Set preferred lifetime for the address. Set a flag to prefer address as a candidate of the source address for outgoing packets. Set valid lifetime for the address. Use device as the parent for the cloned device. Specify the operating mode for this cloned device. mode is one of sta, ahdemo (or adhoc-demo ), ibss, (or adhoc ), ap, (or hostap ), wds, tdma, mesh, and monitor. The operating mode of a cloned interface cannot be changed. The tdma mode is actually implemented as an adhoc-demo interface with special properties. The 802.11 mac address to use for the bssid. This must be specified at create time for a legacy wds device. The local mac address. If this is not specified then a mac address will automatically be assigned to the cloned device. Typically this address is the same as the address of the parent device but if the bssid parameter is specified then the driver will craft a unique address for the device (if supported). Mark a wds device as operating in ``legacy mode''. Legacy wds devices have a fixed peer relationship and do not, for example, roam if their peer stops communicating. For completeness a Dynamic WDS (DWDS) interface may marked as -wdslegacy. bssid Request a unique local mac address for the cloned device. This is only possible if the device supports multiple mac addresses. To force use of the parent's mac address use -bssid. Mark the cloned interface as depending on hardware support to track received beacons. To have beacons tracked in software use -beacons. For hostap mode -beacons can also be used to indicate no beacons should be transmitted; this can be useful when creating a WDS configuration but wds interfaces can only be created as companions to an access point. ampdu Enable sending and receiving AMPDU frames when using 802.11n (default). The 802.11n specification states a compliant station must be capable of receiving AMPDU frames but transmission is optional. Use -ampdu to disable all use of AMPDU with 802.11n. For testing and/or to work around interoperability problems one can use ampdutx and ampdurx to control use of AMPDU in one direction. Set the AMPDU density parameter used when operating with 802.11n. This parameter controls the inter-packet gap for AMPDU frames. The sending device normally controls this setting but a receiving station may request wider gaps. Legal values for density are 0, .25, .5, 1, 2, 4, 8, and 16 (microseconds). A value of - is treated the same as 0. Set the limit on packet size for receiving AMPDU frames when operating with 802.11n. Legal values for limit are 8192, 16384, 32768, and 65536 but one can also specify just the unique prefix: 8, 16, 32, 64. Note the sender may limit the size of AMPDU frames to be less than the maximum specified by the receiving station. amsdu Enable sending and receiving AMSDU frames when using 802.11n. By default AMSDU is received but not transmitted. Use -amsdu to disable all use of AMSDU with 802.11n. For testing and/or to work around interoperability problems one can use amsdutx and amsdurx to control use of AMSDU in one direction. Set the limit on packet size for sending and receiving AMSDU frames when operating with 802.11n. Legal values for limit are 7935 and 3839 (bytes). Note the sender may limit the size of AMSDU frames to be less than the maximum specified by the receiving station. Note also that devices are not required to support the 7935 limit, only 3839 is required by the specification and the larger value may require more memory to be dedicated to support functionality that is rarely used. When operating as an access point, pass packets between wireless clients directly (default). To instead let them pass up through the system and be forwarded using some other mechanism, use -apbridge. Disabling the internal bridging is useful when traffic is to be processed with packet filtering. Set the desired authentication mode in infrastructure mode. Not all adapters support all modes. The set of valid modes is none, open, shared (shared key), 8021x (IEEE 802.1x), and wpa (IEEE WPA/WPA2/802.11i). The 8021x and wpa modes are only useful when using an authentication service (a supplicant for client operation or an authenticator when operating as an access point). Modes are case insensitive. Enable background scanning when operating as a station. Background scanning is a technique whereby a station associated to an access point will temporarily leave the channel to scan for neighboring stations. This allows a station to maintain a cache of nearby access points so that roaming between access points can be done without a lengthy scan operation. Background scanning is done only when a station is not busy and any outbound traffic will cancel a scan operation. Background scanning should never cause packets to be lost though there may be some small latency if outbound traffic interrupts a scan operation. By default background scanning is enabled if the device is capable. To disable background scanning, use -bgscan. Background scanning is controlled by the bgscanidle and bgscanintvl parameters. Background scanning must be enabled for roaming; this is an artifact of the current implementation and may not be required in the future. Set the minimum time a station must be idle (not transmitting or receiving frames) before a background scan is initiated. The idletime parameter is specified in milliseconds. By default a station must be idle at least 250 milliseconds before a background scan is initiated. The idle time may not be set to less than 100 milliseconds. Set the interval at which background scanning is attempted. The interval parameter is specified in seconds. By default a background scan is considered every 300 seconds (5 minutes). The interval may not be set to less than 15 seconds. Set the interval at which beacon frames are sent when operating in ad-hoc or ap mode. The interval parameter is specified in TU's (1024 usecs). By default beacon frames are transmitted every 100 TU's. Set the number of consecutive missed beacons at which the station will attempt to roam (i.e., search for a new access point). The count parameter must be in the range 1 to 255; though the upper bound may be reduced according to device capabilities. The default threshold is 7 consecutive missed beacons; but this may be overridden by the device driver. Another name for the bmissthreshold parameter is bmiss. Specify the MAC address of the access point to use when operating as a station in a BSS network. This overrides any automatic selection done by the system. To disable a previously selected access point, supply any, none, or - for the address. This option is useful when more than one access point uses the same SSID. Another name for the bssid parameter is ap. burst Enable packet bursting. Packet bursting is a transmission technique whereby the wireless medium is acquired once to send multiple frames and the interframe spacing is reduced. This technique can significantly increase throughput by reducing transmission overhead. Packet bursting is supported by the 802.11e QoS specification and some devices that do not support QoS may still be capable. By default packet bursting is enabled if a device is capable of doing it. To disable packet bursting, use -burst. Set a single desired channel. Channels range from 1 to 255, but the exact selection available depends on the region your adaptor was manufactured for. Setting the channel to any, or - will clear any desired channel and, if the device is marked up, force a scan for a channel to operate on. Alternatively the frequency, in megahertz, may be specified instead of the channel number. When there are several ways to use a channel the channel number/frequency may be appended with attributes to clarify. For example, if a device is capable of operating on channel 6 with 802.11n and 802.11g then one can specify that g-only use should be used by specifying ``6:g''. Similarly the channel width can be specified by appending it with ``/''; e.g., ``6/40'' specifies a 40MHz wide channel, These attributes can be combined as in: ``6:ht/40''. The full set of flags specified following a ``:'' are: a (802.11a), b (802.11b), d (Atheros Dynamic Turbo mode), g (802.11g), h or n (802.11n aka HT), s (Atheros Static Turbo mode), and t (Atheros Dynamic Turbo mode, or appended to ``st'' and ``dt''). The full set of channel widths following a '/' are: 5 (5MHz aka quarter-rate channel), 10 (10MHz aka half-rate channel), 20 (20MHz mostly for use in specifying ht20), and 40 (40MHz mostly for use in specifying ht40). In addition, a 40MHz HT channel specification may include the location of the extension channel by appending ``+'' or ``-'' for above and below, respectively; e.g., ``2437:ht/40+'' specifies 40MHz wide HT operation with the center channel at frequency 2437 and the extension channel above. Set the country code to use in calculating the regulatory constraints for operation. In particular the set of available channels, how the wireless device will operation on the channels, and the maximum transmit power that can be used on a channel are defined by this setting. Country/Region codes are specified as a 2-character abbreviation defined by ISO 3166 or using a longer, but possibly ambiguous, spelling; e.g., "ES" and "Spain". The set of country codes are taken from /etc/regdomain.xml and can also be viewed with the ``list countries'' request. Note that not all devices support changing the country code from a default setting; typically stored in EEPROM. See also regdomain, indoor, outdoor, and anywhere. dfs Enable Dynamic Frequency Selection (DFS) as specified in 802.11h. DFS embodies several facilities including detection of overlapping radar signals, dynamic transmit power control, and channel selection according to a least-congested criteria. DFS support is mandatory for some 5GHz frequencies in certain locales (e.g., ETSI). By default DFS is enabled according to the regulatory definitions specified in /etc/regdomain.xml and the current country code, regdomain, and channel. Note the underlying device (and driver) must support radar detection for full DFS support to work. To be fully compliant with the local regulatory agency frequencies that require DFS should not be used unless it is fully supported. Use -dfs to disable this functionality for testing. dotd Enable support for the 802.11d specification (default). When this support is enabled in station mode, beacon frames that advertise a country code different than the currently configured country code will cause an event to be dispatched to user applications. This event can be used by the station to adopt that country code and operate according to the associated regulatory constraints. When operating as an access point with 802.11d enabled the beacon and probe response frames transmitted will advertise the current regulatory domain settings. To disable 802.11d use -dotd. doth Enable 802.11h support including spectrum management. When 802.11h is enabled beacon and probe response frames will have the SpectrumMgt bit set in the capabilities field and country and power constraint information elements will be present. 802.11h support also includes handling Channel Switch Announcements (CSA) which are a mechanism to coordinate channel changes by an access point. By default 802.11h is enabled if the device is capable. To disable 802.11h use -doth. Set the default key to use for transmission. Typically this is only set when using WEP encryption. Note that you must set a default transmit key for the system to know which key to use in encrypting outbound traffic. The weptxkey is an alias for this request; it is provided for backwards compatibility. Set the DTIM period for transmitting buffered multicast data frames when operating in ap mode. The period specifies the number of beacon intervals between DTIM and must be in the range 1 to 15. By default DTIM is 1 (i.e., DTIM occurs at each beacon). quiet Enable the use of quiet IE. Hostap will use this to silence other stations to reduce interference for radar detection when operating on 5GHz frequency and doth support is enabled. Use -quiet to disable this functionality. Set the QUIET period to the number of beacon intervals between the start of regularly scheduled quiet intervals defined by Quiet element. Set the QUIET count to the number of TBTTs until the beacon interval during which the next quiet interval shall start. A value of 1 indicates the quiet interval will start during the beacon interval starting at the next TBTT. A value 0 is reserved. Set the QUIET offset to the offset of the start of the quiet interval from the TBTT specified by the Quiet count, expressed in TUs. The value of the offset shall be less than one beacon interval. Set the QUIET dur to the duration of the Quiet interval, expressed in TUs. The value should be less than beacon interval. Enable the use of Atheros Dynamic Turbo mode when communicating with another Dynamic Turbo-capable station. Dynamic Turbo mode is an Atheros-specific mechanism by which stations switch between normal 802.11 operation and a ``boosted'' mode in which a 40MHz wide channel is used for communication. Stations using Dynamic Turbo mode operate boosted only when the channel is free of non-dturbo stations; when a non-dturbo station is identified on the channel all stations will automatically drop back to normal operation. By default, Dynamic Turbo mode is not enabled, even if the device is capable. Note that turbo mode (dynamic or static) is only allowed on some channels depending on the regulatory constraints; use the list chan command to identify the channels where turbo mode may be used. To disable Dynamic Turbo mode use -dturbo. dwds Enable Dynamic WDS (DWDS) support. DWDS is a facility by which 4-address traffic can be carried between stations operating in infrastructure mode. A station first associates to an access point and authenticates using normal procedures (e.g., WPA). Then 4-address frames are passed to carry traffic for stations operating on either side of the wireless link. DWDS extends the normal WDS mechanism by leveraging existing security protocols and eliminating static binding. When DWDS is enabled on an access point 4-address frames received from an authorized station will generate a ``DWDS discovery'' event to user applications. This event should be used to create a WDS interface that is bound to the remote station (and usually plumbed into a bridge). Once the WDS interface is up and running 4-address traffic then logically flows through that interface. When DWDS is enabled on a station, traffic with a destination address different from the peer station are encapsulated in a 4-address frame and transmitted to the peer. All 4-address traffic uses the security information of the stations (e.g., cryptographic keys). A station is associated using 802.11n facilities may transport 4-address traffic using these same mechanisms; this depends on available resources and capabilities of the device. The DWDS implementation guards against layer 2 routing loops of multicast traffic. ff Enable the use of Atheros Fast Frames when communicating with another Fast Frames-capable station. Fast Frames are an encapsulation technique by which two 802.3 frames are transmitted in a single 802.11 frame. This can noticeably improve throughput but requires that the receiving station understand how to decapsulate the frame. Fast frame use is negotiated using the Atheros 802.11 vendor-specific protocol extension so enabling use is safe when communicating with non-Atheros devices. By default, use of fast frames is enabled if the device is capable. To explicitly disable fast frames, use -ff. Set the threshold for which transmitted frames are broken into fragments. The length argument is the frame size in bytes and must be in the range 256 to 2346. Setting length to 2346, any, or - disables transmit fragmentation. Not all adapters honor the fragmentation threshold. When operating as an access point, do not broadcast the SSID in beacon frames or respond to probe request frames unless they are directed to the ap (i.e., they include the ap's SSID). By default, the SSID is included in beacon frames and undirected probe request frames are answered. To re-enable the broadcast of the SSID etc., use -hidessid. ht Enable use of High Throughput (HT) when using 802.11n (default). The 802.11n specification includes mechanisms for operation on 20MHz and 40MHz wide channels using different signalling mechanisms than specified in 802.11b, 802.11g, and 802.11a. Stations negotiate use of these facilities, termed HT20 and HT40, when they associate. To disable all use of 802.11n use -ht. To disable use of HT20 (e.g., to force only HT40 use) use -ht20. To disable use of HT40 use -ht40. HT configuration is used to ``auto promote'' operation when several choices are available. For example, if a station associates to an 11n-capable access point it controls whether the station uses legacy operation, HT20, or HT40. When an 11n-capable device is setup as an access point and Auto Channel Selection is used to locate a channel to operate on, HT configuration controls whether legacy, HT20, or HT40 operation is setup on the selected channel. If a fixed channel is specified for a station then HT configuration can be given as part of the channel specification; e.g., 6:ht/20 to setup HT20 operation on channel 6. Enable use of compatibility support for pre-802.11n devices (default). The 802.11n protocol specification went through several incompatible iterations. Some vendors implemented 11n support to older specifications that will not interoperate with a purely 11n-compliant station. In particular the information elements included in management frames for old devices are different. When compatibility support is enabled both standard and compatible data will be provided. Stations that associate using the compatibility mechanisms are flagged in ``list sta''. To disable compatibility support use -htcompat. For interfaces operating in 802.11n, use the specified technique for protecting HT frames in a mixed legacy/HT network. The set of valid techniques is off, and rts (RTS/CTS, default). Technique names are case insensitive. inact Enable inactivity processing for stations associated to an access point (default). When operating as an access point the 802.11 layer monitors the activity of each associated station. When a station is inactive for 5 minutes it will send several ``probe frames'' to see if the station is still present. If no response is received then the station is deauthenticated. Applications that prefer to handle this work can disable this facility by using -inact. Set the location to use in calculating regulatory constraints. The location is also advertised in beacon and probe response frames when 802.11d is enabled with dotd. See also outdoor, anywhere, country, and regdomain. Display the list of channels available for use taking into account any restrictions set with the chanlist directive. See the description of list chan for more information. Display the list of channels available for use. Channels are shown with their IEEE channel number, equivalent frequency, and usage modes. Channels identified as ‘11g’ are also usable in ‘11b’ mode. Channels identified as ‘11a Turbo’ may be used only for Atheros' Static Turbo mode (specified with mediaopt turbo). Channels marked with a ‘*’ have a regulatory constraint that they be passively scanned. This means a station is not permitted to transmit on the channel until it identifies the channel is being used for 802.11 communication; typically by hearing a beacon frame from an access point operating on the channel. list freq is another way of requesting this information. By default a compacted list of channels is displayed; if the -v option is specified then all channels are shown. Display the set of country codes and regulatory domains that can be used in regulatory configuration. Display the current MAC Access Control List state. Each address is prefixed with a character that indicates the current policy applied to it: ‘+’ indicates the address is allowed access, ‘-’ indicates the address is denied access, ‘*’ indicates the address is present but the current policy open (so the ACL is not consulted). Displays the mesh routing table, used for forwarding packets on a mesh network. Display the current regulatory settings including the available channels and transmit power caps. Display the parameters that govern roaming operation. Display the parameters that govern transmit operation. Display the transmit power caps for each channel. A Authorized. Indicates that the station is permitted to send/receive data frames. E Extended Rate Phy (ERP). Indicates that the station is operating in an 802.11g network using extended transmit rates. H High Throughput (HT). Indicates that the station is using HT transmit rates. If a `+' follows immediately after then the station associated using deprecated mechanisms supported only when htcompat is enabled. P Power Save. Indicates that the station is operating in power save mode. Q Quality of Service (QoS). Indicates that the station is using QoS encapsulation for data frame. QoS encapsulation is enabled only when WME mode is enabled. S Short Preamble. Indicates that the station is doing short preamble to optionally improve throughput performance with 802.11g and 802.11b. T Transitional Security Network (TSN). Indicates that the station associated using TSN; see also tsn below. W Wi-Fi Protected Setup (WPS). Indicates that the station associated using WPS. By default interesting information elements captured from the neighboring stations are displayed at the end of each row. Possible elements include: WME (station supports WME), WPA (station supports WPA), WPS (station supports WPS), RSN (station supports 802.11i/RSN), HTCAP (station supports 802.11n/HT communication), ATH (station supports Atheros protocol extensions), VEN (station supports unknown vendor-specific extensions). If the -v flag is used all the information elements and their contents will be shown. Specifying the -v flag also enables display of long SSIDs. The list ap command is another way of requesting this information. By default information elements received from associated stations are displayed in a short form; the -v flag causes this information to be displayed symbolically. Display the current channel parameters to use when operating in WME mode. If the -v option is specified then both channel and BSS parameters are displayed for each AC (first channel, then BSS). When WME mode is enabled for an adaptor this information will be displayed with the regular status; this command is mostly useful for examining parameters when WME mode is disabled. See the description of the wme directive for information on the various parameters. Set the maximum number of tries to use in sending unicast frames. The default setting is 6 but drivers may override this with a value they choose. Set the rate for transmitting multicast/broadcast frames. Rates are specified as megabits/second in decimal; e.g., 5.5 for 5.5 Mb/s. This rate should be valid for the current operating conditions; if an invalid rate is specified drivers are free to chose an appropriate rate. Set the rate for transmitting management and/or control frames. Rates are specified as megabits/second in decimal; e.g., 5.5 for 5.5 Mb/s. Set the location to use in calculating regulatory constraints. The location is also advertised in beacon and probe response frames when 802.11d is enabled with dotd. See also anywhere, country, indoor, and regdomain. Enable powersave operation. When operating as a client, the station will conserve power by periodically turning off the radio and listening for messages from the access point telling it there are packets waiting. The station must then retrieve the packets. Not all devices support power save operation as a client. The 802.11 specification requires that all access points support power save but some drivers do not. Use -powersave to disable powersave operation when operating as a client. Set the desired max powersave sleep time in TU's (1024 usecs). By default the max powersave sleep time is 100 TU's. For interfaces operating in 802.11g, use the specified technique for protecting OFDM frames in a mixed 11b/11g network. The set of valid techniques is off, cts (CTS to self), and rtscts (RTS/CTS). Technique names are case insensitive. Not all devices support cts as a protection technique. pureg When operating as an access point in 802.11g mode allow only 11g-capable stations to associate (11b-only stations are not permitted to associate). To allow both 11g and 11b-only stations to associate, use -pureg. puren When operating as an access point in 802.11n mode allow only HT-capable stations to associate (legacy stations are not permitted to associate). To allow both HT and legacy stations to associate, use -puren. Set the regulatory domain to use in calculating the regulatory constraints for operation. In particular the set of available channels, how the wireless device will operation on the channels, and the maximum transmit power that can be used on a channel are defined by this setting. Regdomain codes (SKU's) are taken from /etc/regdomain.xml and can also be viewed with the ``list countries'' request. Note that not all devices support changing the regdomain from a default setting; typically stored in EEPROM. See also country, indoor, outdoor, and anywhere. rifs Enable use of Reduced InterFrame Spacing (RIFS) when operating in 802.11n on an HT channel. Note that RIFS must be supported by both the station and access point for it to be used. To disable RIFS use -rifs. Set the threshold for controlling roaming when operating in a BSS. The rate parameter specifies the transmit rate in megabits at which roaming should be considered. If the current transmit rate drops below this setting and background scanning is enabled, then the system will check if a more desirable access point is available and switch over to it. The current scan cache contents are used if they are considered valid according to the scanvalid parameter; otherwise a background scan operation is triggered before any selection occurs. Each channel type has a separate rate threshold; the default values are: 12 Mb/s (11a), 2 Mb/s (11b), 2 Mb/s (11g), MCS 1 (11na, 11ng). Set the threshold for controlling roaming when operating in a BSS. The rssi parameter specifies the receive signal strength in dBm units at which roaming should be considered. If the current rssi drops below this setting and background scanning is enabled, then the system will check if a more desirable access point is available and switch over to it. The current scan cache contents are used if they are considered valid according to the scanvalid parameter; otherwise a background scan operation is triggered before any selection occurs. Each channel type has a separate rssi threshold; the default values are all 7 dBm. When operating as a station, control how the system will behave when communication with the current access point is broken. The mode argument may be one of device (leave it to the hardware device to decide), auto (handle either in the device or the operating system[em]as appropriate), manual (do nothing until explicitly instructed). By default, the device is left to handle this if it is capable; otherwise, the operating system will automatically attempt to reestablish communication. Manual mode is used by applications such as wpa_supplicant(8) that want to control the selection of an access point. Set the threshold for which transmitted frames are preceded by transmission of an RTS control frame. The length argument is the frame size in bytes and must be in the range 1 to 2346. Setting length to 2346, any, or - disables transmission of RTS frames. Not all adapters support setting the RTS threshold. scan Initiate a scan of neighboring stations, wait for it to complete, and display all stations found. Only the super-user can initiate a scan. See list scan for information on the display. By default a background scan is done; otherwise a foreground scan is done and the station may roam to a different access point. The list scan request can be used to show recent scan results without initiating a new scan. Set the maximum time the scan cache contents are considered valid; i.e., will be used without first triggering a scan operation to refresh the data. The threshold parameter is specified in seconds and defaults to 60 seconds. The minimum setting for threshold is 10 seconds. One should take care setting this threshold; if it is set too low then attempts to roam to another access point may trigger unnecessary background scan operations. Enable use of Short Guard Interval when operating in 802.11n on an HT channel. NB: this currently enables Short GI on both HT40 and HT20 channels. To disable Short GI use -shortgi. smps Enable use of Static Spatial Multiplexing Power Save (SMPS) when operating in 802.11n. A station operating with Static SMPS maintains only a single receive chain active (this can significantly reduce power consumption). To disable SMPS use -smps. Enable use of Dynamic Spatial Multiplexing Power Save (SMPS) when operating in 802.11n. A station operating with Dynamic SMPS maintains only a single receive chain active but switches to multiple receive chains when it receives an RTS frame (this can significantly reduce power consumption). Note that stations cannot distinguish between RTS/CTS intended to enable multiple receive chains and those used for other purposes. To disable SMPS use -smps. Set the desired Service Set Identifier (aka network name). The SSID is a string up to 32 characters in length and may be specified as either a normal string or in hexadecimal when preceded by ‘0x’. Additionally, the SSID may be cleared by setting it to ‘-’. When operating with TDMA, use the specified slot configuration. The slot is a number between 0 and the maximum number of slots in the BSS. Note that a station configured as slot 0 is a master and will broadcast beacon frames advertising the BSS; stations configured to use other slots will always scan to locate a master before they ever transmit. By default tdmaslot is set to 1. When operating with TDMA, setup a BSS with cnt slots. The slot count may be at most 8. The current implementation is only tested with two stations (i.e., point to point applications). This setting is only meaningful when a station is configured as slot 0; other stations adopt this setting from the BSS they join. By default tdmaslotcnt is set to 2. When operating with TDMA, setup a BSS such that each station has a slot len microseconds long. The slot length must be at least 150 microseconds (1/8 TU) and no more than 65 milliseconds. Note that setting too small a slot length may result in poor channel bandwidth utilization due to factors such as timer granularity and guard time. This setting is only meaningful when a station is configured as slot 0; other stations adopt this setting from the BSS they join. By default tdmaslotlen is set to 10 milliseconds. When operating with TDMA, setup a BSS such that beacons are transmitted every intval superframes to synchronize the TDMA slot timing. A superframe is defined as the number of slots times the slot length; e.g., a BSS with two slots of 10 milliseconds has a 20 millisecond superframe. The beacon interval may not be zero. A lower setting of tdmabintval causes the timers to be resynchronized more often; this can be help if significant timer drift is observed. By default tdmabintval is set to 5.
tsn When operating as an access point with WPA/802.11i allow legacy stations to associate using static key WEP and open authentication. To disallow legacy station use of WEP, use -tsn. Set the power used to transmit frames. The power argument is specified in .5 dBm units. Out of range values are truncated. Typically only a few discreet power settings are available and the driver will use the setting closest to the specified value. Not all adapters support changing the transmit power. Set a fixed rate for transmitting unicast frames. Rates are specified as megabits/second in decimal; e.g., 5.5 for 5.5 Mb/s. This rate should be valid for the current operating conditions; if an invalid rate is specified drivers are free to chose an appropriate rate. Set the desired WEP mode. Not all adapters support all modes. The set of valid modes is off, on, and mixed. The mixed mode explicitly tells the adaptor to allow association with access points which allow both encrypted and unencrypted traffic. On these adapters, on means that the access point must only allow encrypted connections. On other adapters, on is generally another name for mixed. Modes are case insensitive. Set the WEP key to be used for transmission. This is the same as setting the default transmission key with deftxkey. Set the selected WEP key. If an index is not given, key 1 is set. A WEP key will be either 5 or 13 characters (40 or 104 bits) depending on the local network and the capabilities of the adaptor. It may be specified either as a plain string or as a string of hexadecimal digits preceded by ‘0x’. For maximum portability, hex keys are recommended; the mapping of text keys to WEP encryption is usually driver-specific. In particular, the Windows drivers do this mapping differently to FreeBSD . A key may be cleared by setting it to ‘-’. If WEP is supported then there are at least four keys. Some adapters support more than four keys. If that is the case, then the first four keys (1-4) will be the standard temporary keys and any others will be adaptor specific keys such as permanent keys stored in NVRAM. Note that you must set a default transmit key with deftxkey for the system to know which key to use in encrypting outbound traffic. wme Enable Wireless Multimedia Extensions (WME) support, if available, for the specified interface. WME is a subset of the IEEE 802.11e standard to support the efficient communication of realtime and multimedia data. To disable WME support, use -wme. Another name for this parameter is wmm. AC parameters are case-insensitive. Traffic classification is done in the operating system using the vlan priority associated with data frames or the ToS (Type of Service) indication in IP-encapsulated frames. If neither information is present, traffic is assigned to the Best Effort (BE) category. ack ac Set the ACK policy for QoS transmissions by the local station; this controls whether or not data frames transmitted by a station require an ACK response from the receiving station. To disable waiting for an ACK use -ack. This parameter is applied only to the local station. acm ac Enable the Admission Control Mandatory (ACM) mechanism for transmissions by the local station. To disable the ACM use -acm. On stations in a BSS this parameter is read-only and indicates the setting received from the access point. NB: ACM is not supported right now. wps Enable Wireless Privacy Subscriber support. Note that WPS support requires a WPS-capable supplicant. To disable this function use -wps. The following parameters support an optional access control list feature available with some adapters when operating in ap mode; see wlan_acl(4). This facility allows an access point to accept/deny association requests based on the MAC address of the station. Note that this feature does not significantly enhance security as MAC address spoofing is easy to do. Set the ACL policy to permit association only by stations approved by a RADIUS server. Note that this feature requires the hostapd(8) program be configured to do the right thing as it handles the RADIUS processing (and marks stations as authorized). Set the desired Mesh Identifier. The Mesh ID is a string up to 32 characters in length. A mesh interface must have a Mesh Identifier specified to reach an operational state. Set the desired ``time to live'' for mesh forwarded packets; this is the number of hops a packet may be forwarded before it is discarded. The default setting for meshttl is 31. Enable or disable peering with neighbor mesh stations. Stations must peer before any data packets can be exchanged. By default meshpeering is enabled. Enable or disable forwarding packets by a mesh interface. By default meshforward is enabled. This attribute specifies whether or not the mesh STA activates mesh gate announcements. By default meshgate is disabled. Set the specified protocol as the link metric protocol used on a mesh network. The default protocol is called AIRTIME. The mesh interface will restart after changing this setting. Set the specified protocol as the path selection protocol used on a mesh network. The only available protocol at the moment is called HWMP (Hybrid Wireless Mesh Protocol). The mesh interface will restart after changing this setting. NORMAL Send broadcast path requests every two seconds. Nodes on the mesh without a path to this root mesh station with try to discover a path to us. Send broadcast path requests every two seconds and every node must reply with a path reply even if it already has a path to this root mesh station. RANN Send broadcast root announcement (RANN) frames. Nodes on the mesh without a path to this root mesh station with try to discover a path to us. By default hwmprootmode is set to DISABLED. Set the maximum number of hops allowed in an HMWP path to cnt. The default setting for hwmpmaxhops is 31. Another name for the ssid parameter. Included for NetBSD compatibility. Another way of saying: "wepmode on weptxkey 1 wepkey 1:key wepkey 2:- wepkey 3:- wepkey 4:-". Included for NetBSD compatibility. n : k1 , k2 , k3 , k4Another way of saying "wepmode on weptxkey n wepkey 1:k1 wepkey 2:k2 wepkey 3:k3 wepkey 4:k4". Included for NetBSD compatibility. Another way of saying wepmode off. Included for NetBSD compatibility. Set the size of the bridge address cache to size. The default is 2000 entries. Set the timeout of address cache entries to seconds seconds. If seconds is zero, then address cache entries will not be expired. The default is 1200 seconds. Clear the "discovering" attribute on a member interface. For packets without the "discovering" attribute, the only packets forwarded on the interface are broadcast or multicast packets and packets for which the destination address is known to be on the interface's segment. Mark an interface as a "learning" interface. When a packet arrives on such an interface, the source address of the packet is entered into the address cache as being a destination address on the interface's segment. This is the default for all interfaces added to a bridge. Mark an interface as a "sticky" interface. Dynamically learned address entries are treated at static once entered into the cache. Sticky entries are never aged out of the cache or replaced, even if the address is seen on a different interface. Clear the "sticky" attribute on a member interface. Mark an interface as a "private" interface. A private interface does not forward any traffic to any other port that is also a private interface. Clear the "private" attribute on a member interface. Add the interface named by interface as a span port on the bridge. Span ports transmit a copy of every frame received by the bridge. This is most useful for snooping a bridged network passively on another host connected to one of the span ports of the bridge. Delete the interface named by interface from the list of span ports of the bridge. Set interface as an edge port. An edge port connects directly to end stations cannot create bridging loops in the network, this allows it to transition straight to forwarding. Allow interface to automatically detect edge status. This is the default for all interfaces added to a bridge. Set the interface as a point to point link. This is required for straight transitions to forwarding and should be enabled on a direct link to another RSTP capable switch. Disable point to point link status on interface. This should be disabled for a half duplex link and for an interface connected to a shared network segment, like a hub or a wireless network. Automatically detect the point to point status on interface by checking the full duplex link status. This is the default for interfaces added to the bridge. Disable automatic point to point link detection on interface. Set the time that a Spanning Tree protocol configuration is valid. The default is 20 seconds. The minimum is 6 seconds and the maximum is 40 seconds. Set the time that must pass before an interface begins forwarding packets when Spanning Tree is enabled. The default is 15 seconds. The minimum is 4 seconds and the maximum is 30 seconds. Set the time between broadcasting of Spanning Tree protocol configuration messages. The hello time may only be changed when operating in legacy stp mode. The default is 2 seconds. The minimum is 1 second and the maximum is 2 seconds. Set the bridge priority for Spanning Tree. The default is 32768. The minimum is 0 and the maximum is 61440. Set the Spanning Tree protocol. The default is rstp. The available options are stp and rstp. Set the transmit hold count for Spanning Tree. This is the number of packets transmitted before being rate limited. The default is 6. The minimum is 1 and the maximum is 10. Set the Spanning Tree priority of interface to value. The default is 128. The minimum is 0 and the maximum is 240. Set the Spanning Tree path cost of interface to value. The default is calculated from the link speed. To change a previously selected path cost back to automatic, set the cost to 0. The minimum is 1 and the maximum is 200000000. Set the maximum number of hosts allowed from an interface, packets with unknown source addresses are dropped until an existing host cache entry expires or is removed. Set to 0 to disable. Add the interface named by interface as a port of the aggregation interface. Remove the interface named by interface from the aggregation interface. Set the aggregation protocol. The default is failover. The available options are failover, lacp, loadbalance, roundrobin, broadcast and none. Set the packet layers to hash for aggregation protocols which load balance. The default is "l2,l3,l4". The options can be combined using commas. l2 src/dst mac address and optional vlan number. l3 src/dst address for IPv4 or IPv6. l4 src/dst port for TCP/UDP/SCTP. Enable local hash computation for RSS hash on the interface. The loadbalance and lacp modes will use the RSS hash from the network card if available to avoid computing one, this may give poor traffic distribution if the hash is invalid or uses less of the protocol header information. use_flowid disables use of RSS hash from the network card. The default value can be set via the net.link.lagg.default_use_flowid sysctl(8) variable. 0 means "disabled" and 1 means "enabled". Disable local hash computation for RSS hash on the interface. Set a shift parameter for RSS local hash computation. Hash is calculated by using flowid bits in a packet header mbuf which are shifted by the number of this parameter. Enable lacp strict compliance on the interface. The default value can be set via the net.link.lagg.lacp.default_strict_mode sysctl(8) variable. 0 means "disabled" and 1 means "enabled". Set a flag to accept both correct EtherIP packets and ones with reversed version field. Enabled by default. This is for backward compatibility with FreeBSD 6.1, 6.2, 6.3, 7.0, and 7.1. Set a flag to accept encapsulated packets destined to this host independently from source address. This may be useful for hosts, that receive encapsulated packets from the load balancers. Set a flag to send EtherIP packets with reversed version field intentionally. Disabled by default. 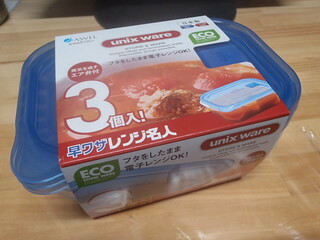 This is for backward compatibility with FreeBSD 6.1, 6.2, 6.3, 7.0, and 7.1. Configure the GRE key to be used for outgoing packets. Note that gre(4) will always accept GRE packets with invalid or absent keys. This command will result in a four byte MTU reduction on the interface. Use the specified interface to send and receive pfsync state synchronisation messages. Stop sending pfsync state synchronisation messages over the network. Make the pfsync link point-to-point rather than using multicast to broadcast the state synchronisation messages. The peer_address is the IP address of the other host taking part in the pfsync cluster. Set the maximum number of updates for a single state which can be collapsed into one. This is an 8-bit number; the default value is 128.
defer Defer transmission of the first packet in a state until a peer has acknowledged that the associated state has been inserted. Do not defer the first packet in a state. This is the default. Set the VLAN tag value to vlan_tag. This value is a 12-bit VLAN Identifier (VID) which is used to create an 802.1Q VLAN header for packets sent from the vlan(4) interface. Note that vlan and vlandev must both be set at the same time. Priority code point ( PCP) is an 3-bit field which refers to the IEEE 802.1p class of service and maps to the frame priority level. Values in order of priority are: 1 ( Background (lowest)), 0 ( Best effort (default)), 2 ( Excellent effort), 3 ( Critical applications), 4 ( Video, < 100ms latency), 5 ( Video, < 10ms latency), 6 ( Internetwork control), 7 ( Network control (highest)). Associate the physical interface iface with a vlan(4) interface. Packets transmitted through the vlan(4) interface will be diverted to the specified physical interface iface with 802.1Q VLAN encapsulation. Packets with 802.1Q encapsulation received by the parent interface with the correct VLAN Identifier will be diverted to the associated vlan(4) pseudo-interface. The vlan(4) interface is assigned a copy of the parent interface's flags and the parent's Ethernet address. The vlandev and vlan must both be set at the same time. If the vlan(4) interface already has a physical interface associated with it, this command will fail. To change the association to another physical interface, the existing association must be cleared first. Note: if the hardware tagging capability is set on the parent interface, the vlan(4) pseudo interface's behavior changes: the vlan(4) interface recognizes that the parent interface supports insertion and extraction of VLAN tags on its own (usually in firmware) and that it should pass packets to and from the parent unaltered. If the driver is a vlan(4) pseudo device, disassociate the parent interface from it. This breaks the link between the vlan(4) interface and its parent, clears its VLAN Identifier, flags and its link address and shuts the interface down. The iface argument is useless and hence deprecated. This value is a 24-bit VXLAN Network Identifier (VNI) that identifies the virtual network segment membership of the interface. The source address used in the encapsulating IPv4/IPv6 header. The address should already be assigned to an existing interface. When the interface is configured in unicast mode, the listening socket is bound to this address. The interface can be configured in a unicast, or point-to-point, mode to create a tunnel between two hosts. This is the IP address of the remote end of the tunnel. The interface can be configured in a multicast mode to create a virtual network of hosts. This is the IP multicast group address the interface will join. The port number the interface will listen on. The default port number is 4789. The destination port number used in the encapsulating IPv4/IPv6 header. The remote host should be listening on this port. The default port number is 4789. Note some other implementations, such as Linux, do not default to the IANA assigned port, but instead listen on port 8472. The maximum time, in seconds, before an entry in the forwarding table is pruned. The default is 1200 seconds (20 minutes). The maximum number of entries in the forwarding table. The default is 2000. When the interface is configured in multicast mode, the dev interface is used to transmit IP multicast packets. The TTL used in the encapsulating IPv4/IPv6 header. The default is 64. The source IP address and inner source Ethernet MAC address of received packets are used to dynamically populate the forwarding table. When in multicast mode, an entry in the forwarding table allows the interface to send the frame directly to the remote host instead of broadcasting the frame to the multicast group. This is the default. Delete all dynamically-learned addresses from the forwarding table. Delete all addresses, including static addresses, from the forwarding table. vhid n Set the virtual host ID. This is a required setting to initiate carp(4). If the virtual host ID does not exist yet, it is created and attached to the interface, otherwise configuration of an existing vhid is adjusted. If the vhid keyword is supplied along with an "inet6" or "inet" address, then this address is configured to be run under control of the specified vhid. Whenever a last address that refers to a particular vhid is removed from an interface, the vhid is automatically removed from interface and destroyed. Any other configuration parameters for the carp(4) protocol should be supplied along with the vhid keyword. Acceptable values for vhid are 1 to 255. Specifies the base of the advertisement interval in seconds. The acceptable values are 1 to 255. The default value is 1. Specifies the skew to add to the base advertisement interval to make one host advertise slower than another host. It is specified in 1/256 of seconds. The acceptable values are 1 to 254. The default value is 0. Set the authentication key to phrase. Forcibly change state of a given vhid. The -l flag may be used to list all available interfaces on the system, with no other additional information. If an address_family is specified, only interfaces of that type will be listed. -l "ether" will list only Ethernet adapters, excluding the loopback interface. Use of this flag is mutually exclusive with all other flags and commands, except for -d (only list interfaces that are down) and -u (only list interfaces that are up). The -k flag causes keying information for the interface, if available, to be printed. For example, the values of 802.11 WEP keys and carp(4) passphrases will be printed, if accessible to the current user. This information is not printed by default, as it may be considered sensitive. If the network interface driver is not present in the kernel then ifconfig will attempt to load it. The -n flag disables this behavior. # ifconfig em0 description "Uplink to Gigabit Switch 2"
Messages indicating the specified interface does not exist, the requested address is unknown, or the user is not privileged and tried to alter an interface's configuration. The ifconfig utility appeared in BSD 4.2 . Basic IPv6 node operation requires a link-local address on each interface configured for IPv6. Normally, such an address is automatically configured by the kernel on each interface added to the system or enabled; this behavior may be disabled by setting per-interface flag -auto_linklocal. The default value of this flag is 1 and can be disabled by using the sysctl MIB variable net.inet6.ip6.auto_linklocal. Do not configure IPv6 addresses with no link-local address by using ifconfig. It can result in unexpected behaviors of the kernel.